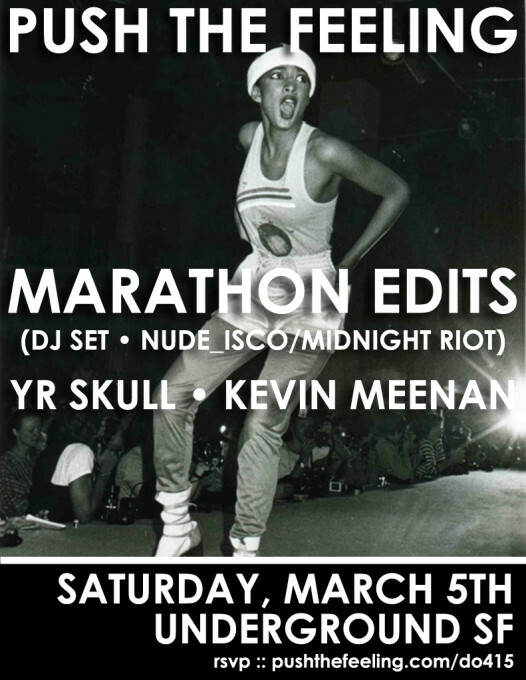 Marathon Edits is a project focused on Groove-based music; Disco, funk, and soul, but with a modern spirit. Music from the 70s and 80s is pushed to the cutting edge. The result is dance music with energy and endurance – a driving force on the dance floor. He’s had two #1 selling hits on Midnight Riot Records in 2013 and 2104 with his edits “I Know All About Your Loving” and “Looking So Good”. 2014 will see the release of several EPs on record companies based in the USA, Europe, and Hong Kong. In the USA, Ben was an FM radio DJ for 4 years, where he produced the electro-disco program Ausgezeichnet!. From Boston he moved to Germany and finally Hong Kong in 2011, where he established Nude_isco and implanted himself as a mainstay of the HK disco-groove scene.